• As workload increases it is necessary to divide work. • The manager may not always have the right skills to accomplish a task. • The manager skills may be more useful for other tasks. • To empower teams, by giving them authority. • To promote a team culture of self-organization. • So that teams can take ownership and responsibility of their work. • By allocating work to their people, managers help their people to develop their skills and grow. • Managers that learn to share responsibility and to let go, learn how to grow. • When people assume responsibility and gain authority, they feel important and trustworthy and this increases their motivation and identification with their work. • As the team size increases, it is necessary to delegate in a structured way to avoid chaos. • Effective delegation is necessary to avoid micromanagement. • Delegation is necessary to address the planned or unplanned unavailability of managers and key team members. Tools such as Delegation Poker can help teams to answer this question. The CORPS or the W4CHEF model can help answer this question in a structured way. The RACI matrix is very useful to answer this question and communicate the responsibilities to all stakeholders. The TRIP tools is useful to define and communicate the replacements in case of unavailability of the main responsible. When delegating a task, the manager and their people, may have a different understanding of what the task is about and how they should approach it. Therefore, it is not enough for managers to simply communicate and explain their point of view. They have to engage in a two way discussion with the person that will assume responsibility for the job. Even after thoroughly explaining and discussing the specifics of the job, the other person may have still misunderstood parts of the conversation. For this reason, at the end of the discussion, the manager has to verify that the other person has understood all the important aspects of the job. The manager, should ask the other person to summarize and explain what they understood and in case some points are not clear, they should discuss them again. Delegation is a mutual agreement. Delegation should not be a forced one way decision. It is a contract that both parties must “sign” and requires mutual commitment. It is often the case that the other person does not agree, or perhaps is not willing or able to commit, but does not communicate this. For this reason it is important to explicitly ask the person to articulate the agreement and the commitment. The same rules apply to the manager, as they most likely have to offer support, resources or their time and therefore also have to agree and commit to doing exactly that. What happens if the other person, despite all efforts still disagrees? One possibility is to consider that perhaps the other person is not the right person to delegate the job to. However, assuming that this option is not available, what other options exist? Once the manager realizes that the other person is resisting, they should engage with them in a direct, focused, positive, open, exploratory, transparent and cooperative discussion. The manager should try to listen more and understand the other person’s view and the true reasons behind their behavior. The manager should approach delegation as an opportunity for a partnership and as an opportunity for both sides to learn and not as an attempt to convince the other person of their opinions. One aspect that managers very often neglect, is that in almost every situation they need to “sell” their decision to their people. This is true, simply because, it is their responsibility to motivate their people. The manager should not simply tell the other person what to do, instead they should explain to them how the job helps them grow and why it is important to the manager and the organization. If possible, the manager should put the other person in the center and explain to them, how everything regarding the job relates to them. If possible, they should refer to past successes. The manager should not forget to thank their people for their collaboration in accepting the responsibilities of the job. They should actively look for and create opportunities to give recognition to others for doing a good work. Delegation is not always top down. It is often the case that people will delegate to other colleagues and peers and some time even to their managers. In general the same rules apply as before, with one important difference. Namely, authority typically originates from the manager, so if a person is in a non authoritative position, they may have to try harder to “sell” their view to the other party. Managers should teach their people how to delegate to their teammates, peers and other colleagues. This brings them one step closer towards a self organized team. It is also a step towards growing new leaders in their teams. People in a position without authority, should use delegation techniques and tools not only with their peers but also when their manager approaches them with a new assignment. They should use the techniques and tools not to complicate things, rather as an opportunity for both sides to gain clarity about the tasks, confidence on the positive outcome of the task and to better understand the priorities. It is a very common situation when the manager or a key team member are unavailable. This can happen either because they are on a business trip, on vacation or just because they are sick. In such situations it is important to define in advance how to delegate the key tasks, who will assume the responsibility and who to inform about the new responsible. This preparation should take place before the unavailability occurs, as the people that will assume the responsibility should have enough time upfront, to prepare and learn how to do the job. One way to do this is, when the task is delegated in the first place. Using the RACI and the W4CHEF model, the manager can define together with the various stakeholders the substitutes and the conditions for them to assume their duties. Additionally to the above approach, but also for tasks that were never delegated in a structured way, the TRIP tool can help to define the delegation plans during the unavailability. As already mentioned, there are several tools that can help with delegation. This section will explain these tools. • Responsible: The one that does the job. • Accountable: The decision maker. • Consult: Gives advice in a two way communication. • Inform: Inform in a one way communication. There are two ways to represent a RACI matrix. The main variation focuses on the tasks and the actors/stakeholders. Small letters refer to the substitutes in case of unavailability of the main person. This view helps to drive the discussion when the roles or the people participating in the tasks are more or less clear and the question to be answered is, what responsibility assignment the various stakeholders should have. This view can be also useful to for defining the substitutes in case of unavailability of specific participants. The alternative variation, focuses on the tasks and the responsibility assignment. It is useful when is is not clear which roles or people perform the known tasks. The RACI matrix makes transparent which roles are participating in the job and is useful to communicate the responsibilities with all the stakeholders. As tasks get bigger, longer and repeatable and as the team’s processes mature, the RACI matrix changes from an individual assignment to a role definition and assignment. Individual people assume a specific role in the process and tasks are assigned to roles instead of people. Even if people leave the team, the roles and their responsibilities remain and they simply have to be filled, to ensure that long term repeatable tasks do not break. • Context: The overall context of the task(s). Their strategic relevance. Its importance to various stakeholder. Who originally delegated/defined the task. • Outcome: The expected result. By when the task should finish. The expected quality. • Resource: Budget, People, Support, Time, Capacities, Material. What support the person can expect from the manager. • Parameters: Reporting, Tracking, Reviewing. • Scope: The decision taking scope. What can the person decide. Who to inform or get advice from. The CORPS model helps to structure the discussion and discover with the team the specifics of the job. • What: What is the task. • Why,: Why is it important. • Who: Who will participate on the task and with which role (RACI) and capacity/availability. • When: By when should the task start/finish. • Check: What are factors that are critical to the success or failure of the task. • Escalate: Who to inform in case a critical situation occurs. • Followup: How often and when should the manager and the person meet to track and review the status. The W4CHEF model helps to structure the discussion and discover with the team the specifics of the job. 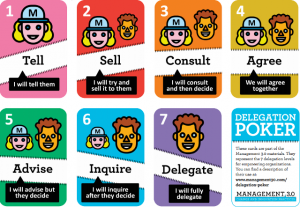 Delegation poker is a tool that was introduced by Jurgen Appelo in his book Management 3.0 The tool helps teams and their managers answer the question of “Who decides?“. It is not a tool about “how to do the job“, it is rather about reaching consensus on the decision making process. It helps manager to share accountability and responsibility with their team at a level that they both feel comfortable with. Tell: The manager decides and tells the team what to do or simply inform them about their decision. Sell: The manager makes the decision, but still has to sell to decision to the team. Consult: The manager consults the team before deciding. Agree: The manager and the team make the decision together. Advise: The team makes the decision, but will consult the manager before deciding. Inquiry: The team makes the decision, but the team has to sell the decision to the manager. Delegate: The team decides and works without any influence from the manager, they only inform him/her about their decision. 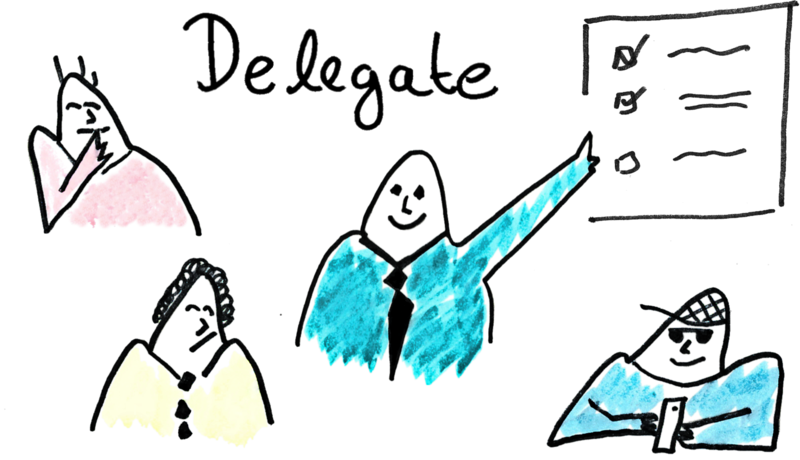 The delegation levels above, describe the managers point of view. However, they could be easily adapted to reflect the perspective on another stakeholder in the decision making process. Notice that in levels 1-3 the manager has the accountability and ownership for the job, while 5-7 it is transferred to the team. In level 4 the manager offers to share accountability with the team. What is also interesting, is that the various levels are complimentary around level 4. For example the manager’s and team’s roles in level 1 are reversed in level 7, the same for levels 2 and 6, 3 and 5. In level 4 the roles are balanced. The delegation levels can also help in filling the RACI matrix. The square brackets  mean an optional role. Delegation poker is played in a similar way as the planning poker in Scrum. • Initially the manager explains to the team the context for the decision. • Then the team is given enough time to ask questions and discuss with the manager. • In the next step, each participant chooses a delegation card, without disclosing their choice. • Then, all participants show their cards at the same time and a discussion round follows where everyone explains their choice. • A new round follows and the process is repeated until the group reaches consensus. • All steps are time boxed. If the group cannot reach consensus, the manager can decide to remove the highest or lowest minority cards, depending the direction they prefer to follow (share more responsibility with the team or retain more responsibility as a manager). This way the group can reach easier consensus. Another option is, in next round to remove low or high end cards where there is an agreement that the these levels are not desired. With less experienced teams, a third party, such as a management or agile coach, can facilitate the process. The facilitator can ensure that the process is not biased, (e.g. by the manager trying to control the team more that it is necessary) and also to help the participants focus on the results and the discussion instead of the process itself. More details on delegation poker and a printable version are available here. For distributed teams, there is an online version of the game here . The TRIP tool helps managers and their teams to define standard delegation procedures and develop strategies to cope with unavailability. It is especially useful for long-term or repeatable tasks. • Task: The task to be delegated. • Replacement: The person that will pick up the responsibility for the task. • Procedure: Under which conditions and how should the transition of responsibility occur. The person that is responsible for the tasks will work together with other stakeholder to define the TRIP plans. It is very important that all stakeholders work together to develop the plans and that they have knowledge of the location where they can find them and have access to them at all times. HR will contact the Director of Business Unit. In this example the manager has worked together with HR, the Director of Business Unit, the team and the CTO to define the plan and has shared it with all the stakeholders. When the time comes for a planned vacation, for example during Christmas, the manager will meet with the team and other stakeholders and execute the procedures as already agreed. In case of unplanned unavailability, the manager will typically inform HR and they will execute the procedures and informe the appropriate people that will make the next steps. There is an anecdote story involving the two jazz legends, Herbie Hancock and Miles Davis. In this story Herbie Hancock recalls an event that took place when he was performing together with Miles Davis. The event took place in the 60’s in Stuttgart, Germany. Herbie Hancock recalls that while playing his part, he accidentally played the wrong notes. As a result of these notes, the music sounded to him like a big mistake. He recalls that Miles Davis paused for a second and quickly improvised. With his unique talent, Miles found some notes that made out of Herbie’s mistake, a correct musical composition. Herbie Hancock, much later realized that the wrong notes that he accidentally played, where not a mistake in the mind of Miles Davis. He realized, that Miles Davis considered them as an event that he had to deal with and that he saw it as his responsibility to find the fitting notes. One important responsibility of leaders, is to create a safe environment for employees to be able to experiment without being afraid to make mistakes or being afraid to deal with the consequences of their mistakes. A safe environment besides being a matter of culture, it is crucial for motivating employees and also relevant in the context of the “fail fast, early and often” agile principle. However, cultivating a safe environment, does not mean that mistakes are simply ignored and swept under the rug. It is important to promote a culture where individuals and teams feel the responsibility to deal with mistakes in a constructive and positive way. This applies, not only in the case where the mistakes are created by our own actions or by someone from our team. It also applies in the case where we inherit or are confronted with a situation resulting from the actions made by third parties. The list is not to be considered as complete, it’s intent is to give direction and guidance. What does Kung Fu have to do with an agile mindset? To succeed or even survive in today’s constantly changing environment, having a great idea is not enough. You need an Agile Mindset and perhaps Kung Fu can help you achieve it. In an asymmetric competitive environment, a small startup with a disruptive idea may render large companies irrelevant and drive them out of their business. On the other hand, large organizations can gain a significant competitive advantage, if they can use their resources in an effective and efficient way. Organizations with established working structures need a change of mindset in order to tackle such challenges and take advantage of the opportunities. On the other side, small startups that just begin to form their culture, have the opportunity to adopt the right mindset from the very start. Succeeding in today’s competitive business environment requires an Agile Mindset. It is all about embracing and constantly adapting to change, learning to fail fast and early and it is about speed. 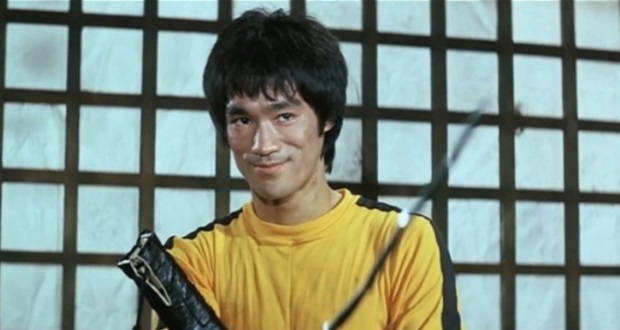 If your are transforming a large organization or bootstrapping a small startup you may look and find inspiration in many places, perhaps even in the Kung Fu style of Bruce Lee. A simple model inspired by the „Digital Transformation Model“ by Alain Veuve, to explain the necessity for personal change, in order to keep up with the technological developments. As new technologies emerge, they are initially adopted by early innovators and gradually by the rest of the majority, transitioning from trends to industry standards. The degree of adoption of new technologies by the industry resembles a wave, it starts slow and then increases rapidly. The industry is changing and so does the skill-set required from professionals in order for them to remain competitive in the market. The main body of the work force typically reacts with delay on new technologies. As the degree of adoption of new technologies by the industry increases, it reaches a critical point and the work force rapidly transforms to follow the industry’s needs. If the local workforce cannot keep up with the changes, the industry will look for professionals outside the local borders. Each one of us has a different ability to adapt to change. The personal price we have to pay to keep up with change depends on our personal adaptability and the moment we choose to change. The personal adaptability is the ability to easily adapt to change and varies from person to person. 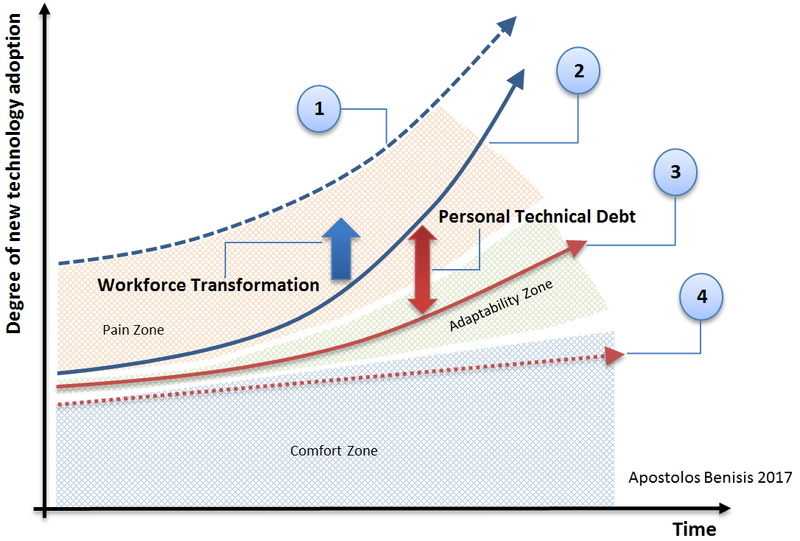 In general, our personal adaptability is not always enough to keep up with the rate at which technological developments are happening and this leads to a personal skills debt. The debt increases by time and if we delay the change too long, it may exceed our ability to transform. The earlier we recognize the need for change, the easier we can manage our personal skills dept. This is a continuous, never ending effort, that requires us to move outside our own comfort zone. There will always be parts of the workforce that will not follow the market changes. There are various reasons for this, for example because it is more comfortable to keep things as they are and people naturally tend to resist change, or because parts of the workforce do not have access to the means required to achieve the change. Eventually this part of the workforce will be overwhelmed by the developments and will have difficulty remaining competitive.